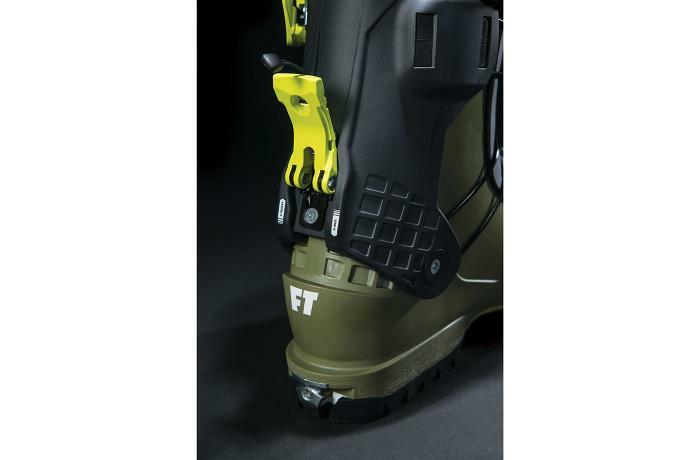 The 2018/2019 Full Tilt Ascendant was tested in the men's On-Off Area wide category at Silver Mountain Resort by the experts at America's Best Bootfitters, powered by Masterfit. The all-new 2019 Full Tilt Ascendant is an assemblage of interesting, modern boot design elements packaged for the uphill-oriented, big-mountain jib kid, testers said. 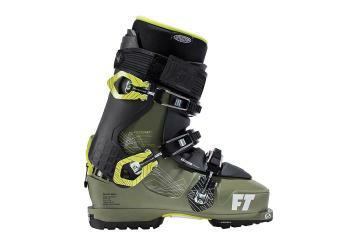 This boot marks the biggest departure ever from previous Full Tilt designs and packs more than a few nifty surprises, starting with Full Tilt's first use of tech fittings and Grilamid plastic in the lower shell. Testers say don't buy this boot without trying on a couple sizes. It fits even shorter than other Full Tilts, they said, and they already fit shorter than the norm. Going up a size from testers' usual and heat molding the Tour Pro Intuition spiral wrap liner got them the advertised 102 mm fit. They liked the way the full thermo liner evened out the few hot spots and provided a more contoured pocket for the ankle bones. They mentioned that skiers might want to pull the rear spoiler before molding the liner to promote a more upright stance and comfortable calf. Testers liked the ease of the hike mode actuation, but didn't get excited about the touring range of motion until they pulled off the removable tongue (a la Dalbello Lupo boots) and stashed it away in a pack—then the cuff really glides, and with the option of GripWalk rockered soles and the boot's light weight testers thought this would be a good solution for longer uphill missions to build a big kicker somewhere that patrol wouldn't see. 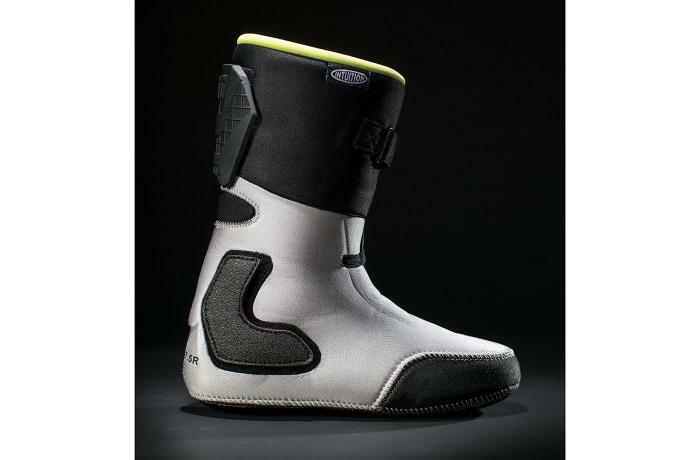 The skiing performance of the Ascendant depended much on the size of the boot tested—testers who sized up got enough room that their feet could spread and find balance, and the cuff felt a little taller and stronger to them. Other testers felt the cuff overly low and forward, which negatively affected their control and stability. The Ascendant is truly packed full of cool stuff. Yes, a Grilamid shell and tongue lightens the load, and tech binding compatibility further reduces the weight of the uphill kit. Once the tongue is removed, a waterproof snow gaiter maintains a weather break for the lower leg and foot. 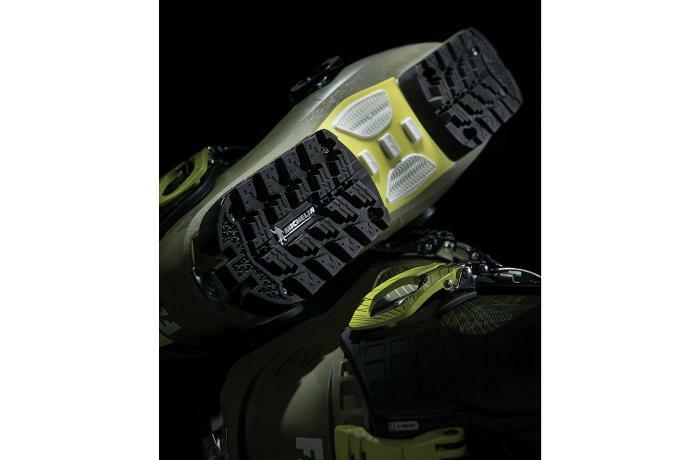 GripWalk soles and alpine DIN soles come with the Ascendant (that's cool, we think), and the Tour Pro liner has the neatest internal lacing system we've seen for keeping a spiral wrap liner snug around the leg while the cuff is loosened for touring.